Who doesn’t love wings (besides vegetarians and vegans)? It is great for all occasions as a snack with drinks or a main dish at home. For a lot of people, the only thing that are better than wings, may be, well, having wings with beer. Today, we combine these two things that people frequently ingest together to make a dish. This recipe is quick to cook and easy to prepare, but it does require a day to marinade for best results so a little planning is required. You’ll be rewarded with wings that are loaded with flavor with a marinade that keeps them moist and tender. Combine all the ingredients with chicken, marinate for 24 hours. Heat skillet and pour in 1 tablespoon oil. 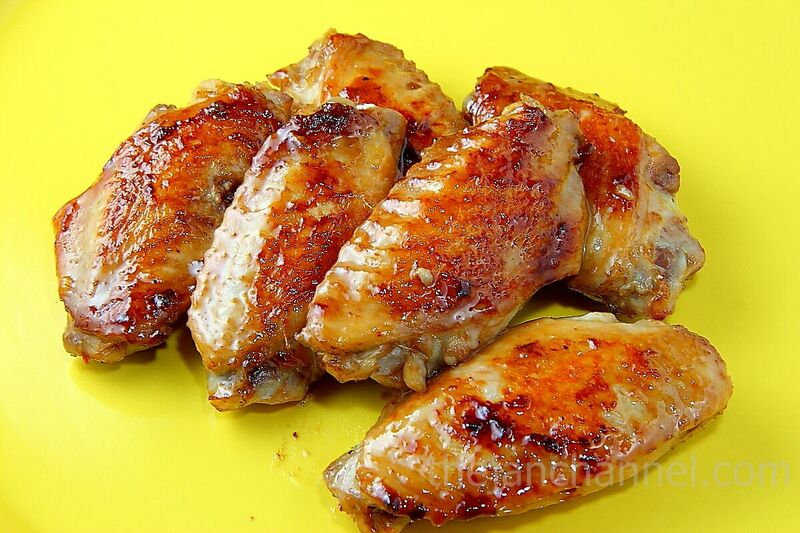 Put in chicken wings and fry until light brown. Cook over medium heat for 8 minutes, then flip the chicken wings over and cook for another 8 minutes until cooked through. Do not use too high heat as otherwise you’ll have burnt skin but raw meat inside.